@lunchesandlittles here!! Waffles are good year-round, and we love making them at our house. They are always fun for breakfast, or as an occasional breakfast-for-dinner. Yum yum! Now, we’ve seen a lot of delicious and even unexpected waffle recipes this year from #TeamNosh and some of our favorites include our Mini Savory Waffles with Crumbled Sausage, Cheese and Scallions, these Pumpkin Pecan Waffles from @crowdedkitchen and these Roasted Tomato Waffles from Kelly, which you just need to try for yourself (seriously, they are soooo good). 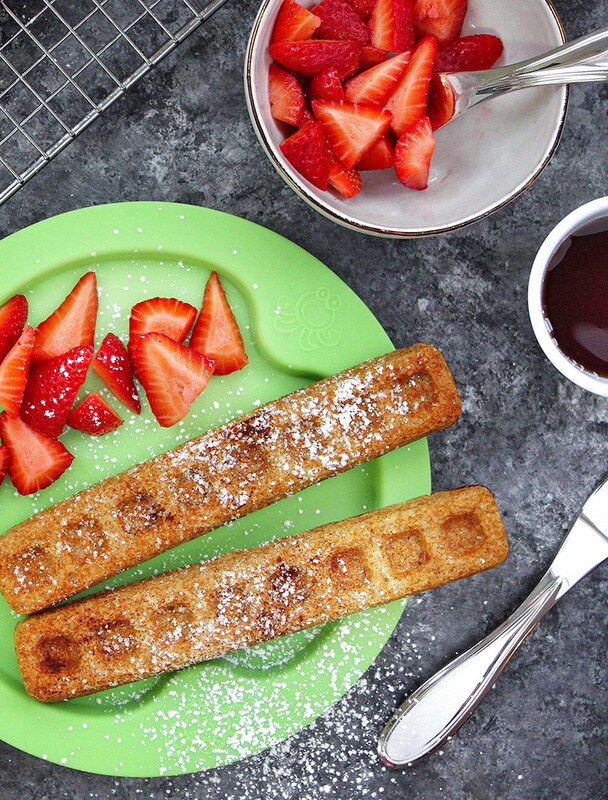 Next up: these waffle sticks! When it comes to waffles – you really can’t go wrong. They’re easy to prep, super versatile (the add-ins/combos are endless!) and can be made sweet, savory or somewhere in between. 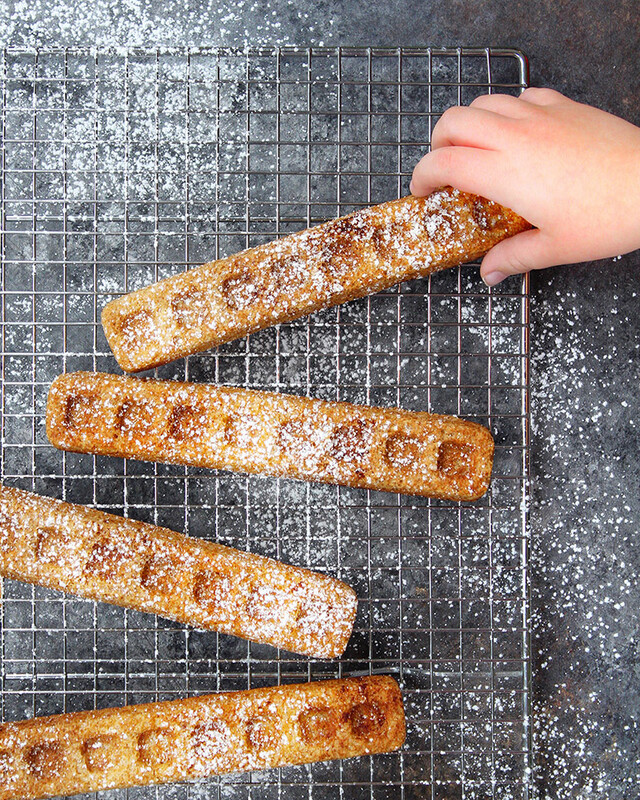 Today, we are sharing a recipe for a family favorite - Vanilla Cinnamon Winter Waffle Sticks (or waffles if you prefer, or don’t have a waffle stick pan). But don’t let the name limit you - these waffle sticks aren’t just for winter; we love them any time of year. But with hints of vanilla, cinnamon and apple, they are always well-loved flavors this time of year. These Vanilla Cinnamon Winter Waffle Sticks would be perfect for any weekend between now and Christmas, or a delicious Christmas Eve or Christmas morning breakfast. The powdered sugar looks like snow, right?! 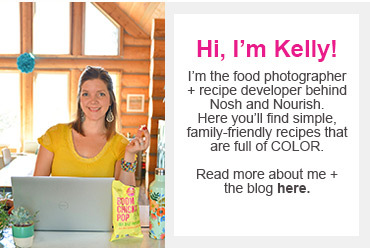 And they are also super freezer-friendly, which makes mom life a whole lot easier. We love to make up a bunch of these on the weekends, and then store them to enjoy later in the week (super easy to re-heat in a toaster oven or conventional oven). Check out the full recipe below. We topped our most recent batch with powdered sugar, for an even more festive look, however this is totally optional. If making traditional waffles, these would also be great topped with cinnamon apples. Yum! 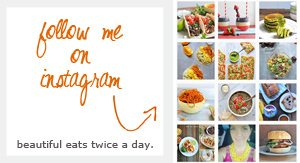 For more easy, family-friendly recipes be sure to check out our feed, @lunchesandlittles, where we are serving up healthy dishes, fun and colorful desserts and other recipes just like this one, all the time. * This is the homemade apple sauce recipe we use. ** You will also need a high-powered blender and non-stick spray for greasing your pan or waffle iron. 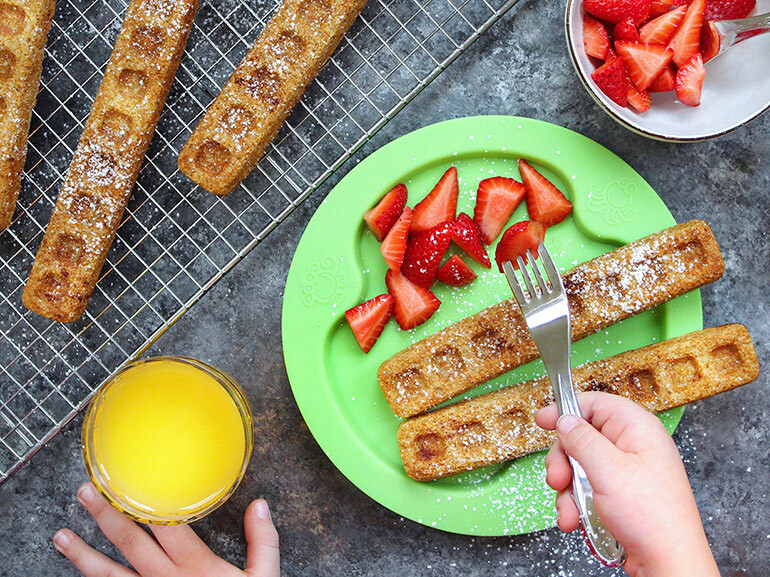 If making waffle sticks with a waffle stick pan as shown (we love this one here): preheat your oven to 375 degrees, lightly spray wells of pan with a non-stick spray and set pan aside. Alternatively, you can use a waffle maker (we love this mini one here). Pre heat waffle maker if using one, and then proceed to next step. In your blender jar add the following: applesauce, milk, butter (melted and cooled), eggs, maple syrup and vanilla. Next, slowly add in your flour, baking powder, Ceylon cinnamon and salt. Blend/pulse until ingredients are just combined (you do not want to over-mix). Pour batter evenly among pan wells (you will have to make these in batches). Bake for 12- 15 minutes, or until golden brown. Carefully remove pan from oven and allow sticks to cool for 5 minutes before removing from pan. Alternatively, cook waffles in a regular sized or mini waffle maker per manufacturer’s instructions. Once done and ready to serve, dust with powdered sugar if desired and serve with maple syrup and a sprinkle of cinnamon and/or your favorite waffle toppings. Double or triple recipe to have enough to freeze for later. Yum!